The NMF wishes all of its donors and supporters pleasant Holidays and and a Happy New Year! A neighbour, dear friend and avid follower of the adventures of the late Diane Stuemer and her family, Karen was honoured when Diane asked her to join the Board of Directors of the Northern Magic Fund. 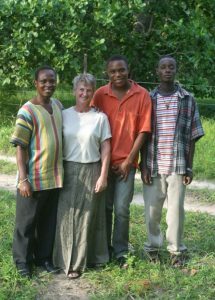 Karen was privileged to have had an opportunity to travel to Kilifi, Kenya in 2003 to visit many of the local schools, attend an opening ceremony at the newly renovated Majaoni Primary School and to witness first-hand the difference the Fund is making in this little part of our world. Enjoying her role as Student Sponsor Coordinator, it has been Karen’s pleasure to participate in the growth of the Fund from its humble beginnings with only a dozen or so students and one school renovation to its current status in Kilifi District with approximately 150 secondary school students, 2 university students and five completed school renovations. 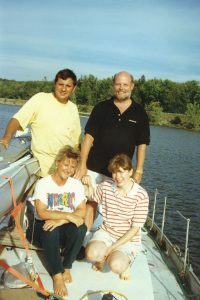 Karen lives, works and plays in Orleans, Ontario, the place she has called home since moving there with husband, Mike, and their two sons, Shawn and Kevin, in 1982. A realtor with Royal LePage Performance, Karen has been helping families in Ottawa’s east end communities with their real estate needs for over 20 years. Her combined real estate experience, local knowledge and personal approach ensure her clients an enjoyable home selling or buying experience. A consistent award-winner, Karen achieved Royal LePage’s prestigious President’s Gold Award as well as the Lifetime Award of Excellence. In 2006, she was the proud recipient of the Orleans Chamber of Commerce People’s Choice Business Award for Real Estate Agent of the Year.